Born at Kildonan on 3 August 1843, son of John Inkster and Mary Sinclair, he was educated at St. John’s College. He was a member of the first Legislative Council of Manitoba in 1871, being Speaker of the House in 1876. 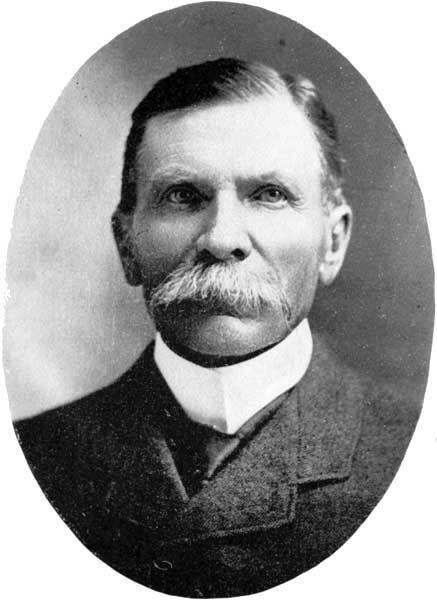 He was appointed Sheriff in the same year, succeeding Edward Armstrong. He occupied the position of Rector’s Warden of St. John’s Cathedral for over fifty years. He was one of the founders of the Winnipeg Board of Trade, in 1873, and the Manitoba Historical Society six years later. He was an unsuccessful candidate for the Lisgar constituency in the March 1871 by-election at which Manitoba’s first Members of Parliament were elected. On 16 March 1871, he married Ann Tait (1852-1925), daughter of William Tait. They had five children: John Rupert Finlayson Inkster (1874-1930), Colin Robertson Sinclair Inkster (1876-1961), Myra Jane McMurray Inkster (1878-1938), Annie Sibyl McKay Inkster (1880-1974), and James Richard Hardisty Inkster (1886-?). He enjoyed walking, and shooting. He skipped rope every morning for exercise to which he attributed his good health and youthful appearance. He died on 28 September 1934 after suffering smoke inhalation during a fire at his hunting lodge on Delta Marsh.